The Workshops can be tailored to suit any amount of time, being structured around different components and focused on various themes within ‘writing’, from finding great adjectives to use in a story, to brainstorming ideas for a plot. 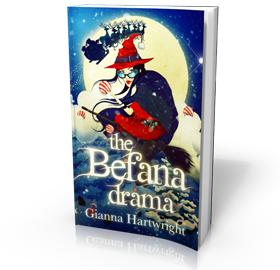 Children will derive excitement from devising characters and will absolutely love diving into the Brilliant Befana Bag, to find components for their story, not to mention playing Befana Blanks! Year 4, 5 & 6 teachers wishing to find out more can email giannah@me.com or call 01253 891114 for a quote. 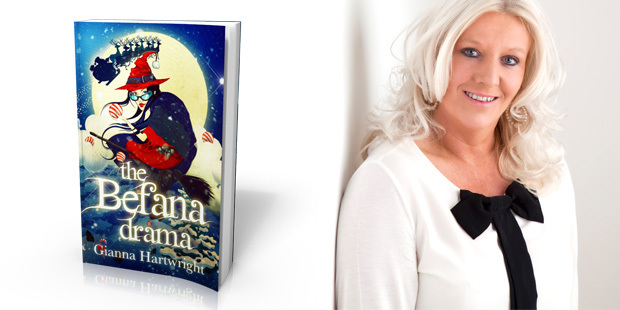 However, free-of-charge author visits from The Befana Drama’s author, Gianna Hartwright, can also be arranged. 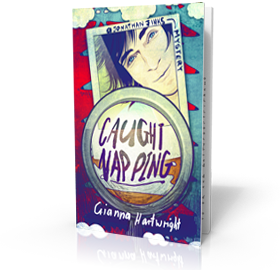 We can send you comments received after previous visits, to show you how inspired the children once they’ve learnt about the book and its characters and give you more details of what the visit entails. We can also ‘white label’ workshops to suit any theme, from football to food, so if you’re looking for a literacy initiative to slot into your work within the sphere of education or targeting of a family audience, just get in touch. Finally, we are launching Creative Writing Workshops for PR students very soon and also offering inspiring talks to those studying for a public relations or marketing degree, or groups of women or business people. 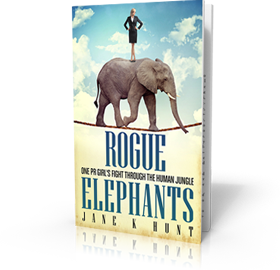 The talks are based around Jane Hunt’s book, ‘Rogue Elephants: One PR Girl’s Fight Through the Human Jungle’, which she wrote after winning the 2012 CIPR ‘Best Freelance PR Practitioner’ award and have been highly praised by those who have so far heard them.